The antics of a loon – not erratic and crazy as the saying goes but determined and purposeful – can become distracting. So it was one quiet summer afternoon on Muir Lake when the iconic Canadian bird’s pursuit of sticklebacks caused my gaze to wander and lose focus on my strike indicator. When I glanced back it had vanished from the surface of this little Alberta stocked rainbow trout lake. Was I too late? 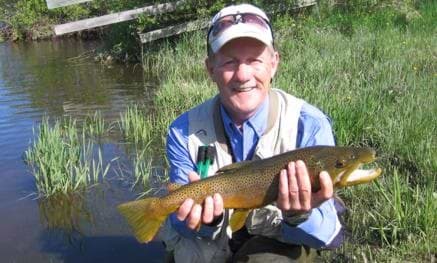 I lifted the fly rod apprehensively and then felt the weight of a trout when my Black/Claret Balanced Leech pattern drove home and the fish responded with a reel-screaming run. The battle was on. The rainbow sounded and I feared it would foul the 4X tippet in the milfoil. Some sideways pressure was able to steer it clear of the pond weed and after a few more escape attempts the exhausted rainbow allowed itself to be dragged over the net. 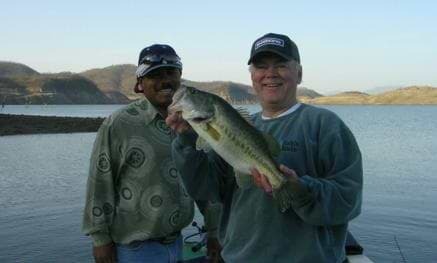 I stretched the gasping fish on the pontoon boat’s stripping apron ruler – a solid 18 inches. For a few seconds I admired the crimson-sided beauty. Then let it slip back under Muir’s tranquil surface to rest and restore for a new battle with some other lucky angler on another day. 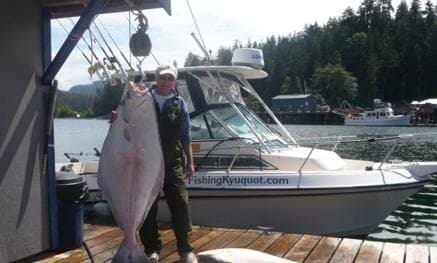 It was a nice fish. 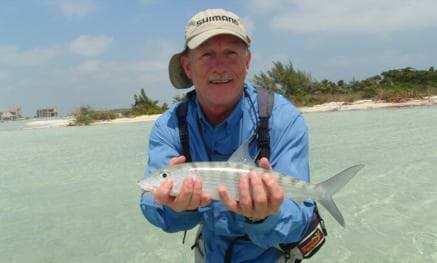 But under the rising expectations of western fly anglers, not an exceptional fish. 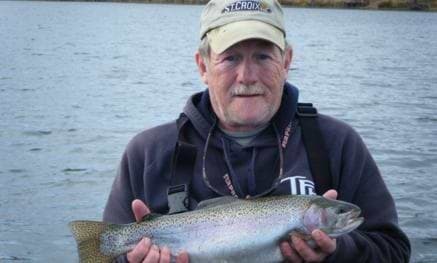 A large number of trout anglers in Alberta, Saskatchewan, Manitoba and British Columbia, it’s fair to say, catch their first rainbow on a stocked pond managed for a “family” angling experience. There are literally hundreds of these easily accessible water bodies where small – but willing – hatchery-raised trout are stocked each spring. Unfortunately they are all but gone by the time the aspen leaves turn golden in October –especially from the more popular waters near major population centres. 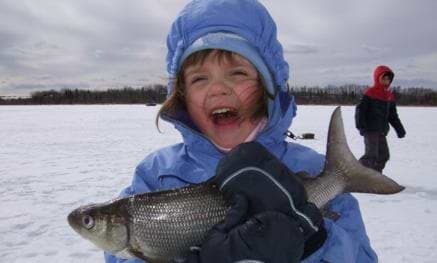 They’re a great place to teach a kid or casual angler the joys and challenges of fishing, as well as, the simple pleasure of being outdoors. 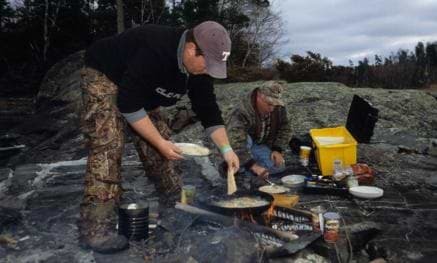 Recently there has been growing pressure on provincial fisheries managers to devise regulations on some of these trout lakes that will allow the stocked trout to grow to significant proportions before any harvest can legally occur. Each province has undertaken the challenge in a different way. The result has not only been impressive, as my afternoon at Muir proved, but these so-called “Hawg” Holes have become magnets for trout anglers who are willing to travel considerable distances and cross provincial and international borders to test their skills. Fortunately it was determined that these high-nutrient-content western trout ponds can quickly grow bragging-size, well-proportioned trout if they are managed to allow them to survive for three or four age classes. 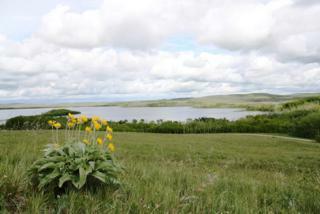 Many of the ponds are also located in gorgeous settings which add to the cosmic experience for the travelling angler. 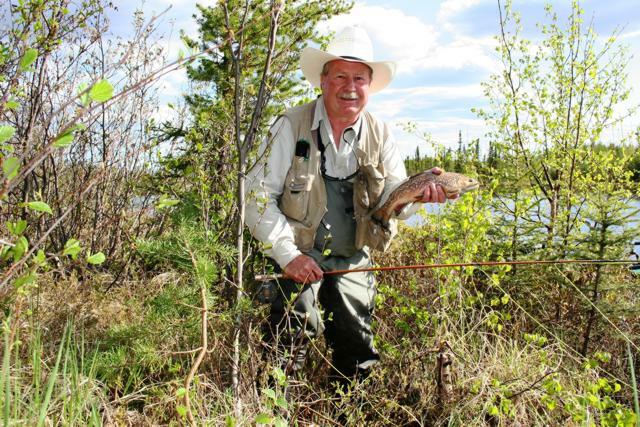 In Alberta, Muir Lake plus eight other fisheries are managed under the Quality Stocked Trout Fisheries program which aims to locate one or more of these upgraded facilities in all quadrants of the province. These include Bullshead, Beaver, Ironside, Fiesta, Police Outpost, Silkstone and several end-use mine pits at Coal Valley. Maligne Lake in Jasper National Park, with its two-fish daily and possession limit is effectively a trophy lake. As is Swan Lake near Valleyview. 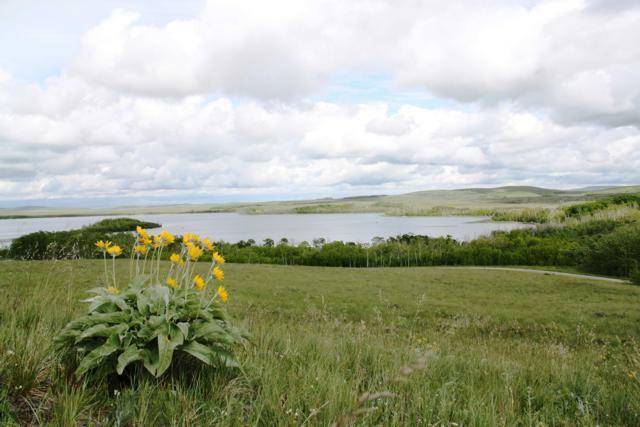 In Manitoba the Fish and Lake Improvement Program for the Parkland Region (FLIPPR) has spearheaded a management program for six lakes near Russell as a conservation and economic development project. 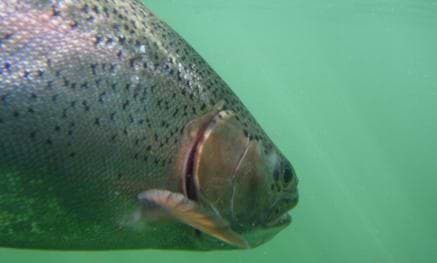 In British Columbia, especially in the trout-lake-rich Kamloops region, numerous stocked trout ponds have restricted harvest regulations along with bait/ice fishing bans to help produce trophy-sized rainbows. 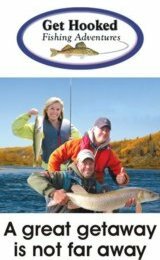 The Saskatchewan Environment Department does not appear to specifically manage stocked-trout waters to produce trophy-sized fish. 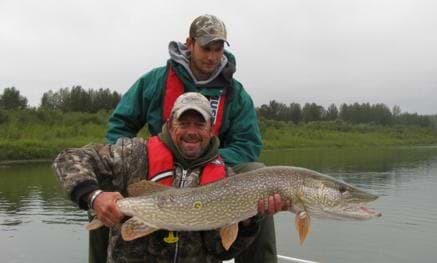 The nexus of lakes, however, in and around Narrow Hills Provincial Park northeast of Saskatoon is one of the West’s unsung trout-angling destinations offering large-fish possibilities from a huge selection of water bodies. 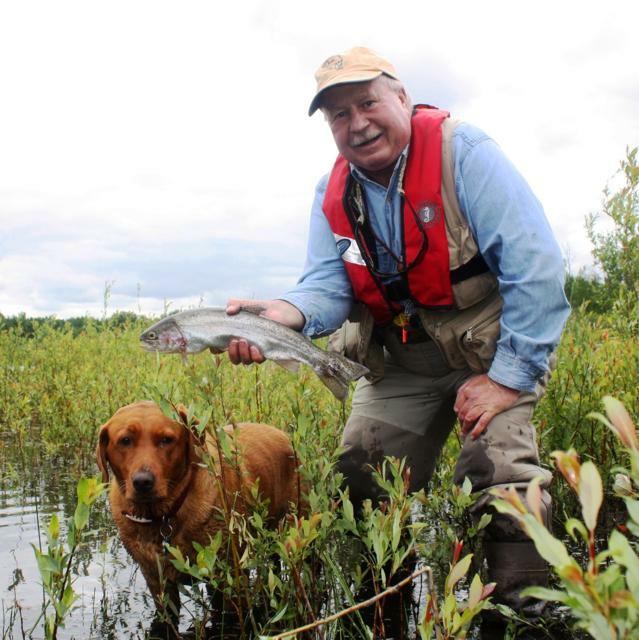 The keys to a creating a quality trout lake are: Restricted harvest regulations to allow the trout to take advantage of the high nutrient levels and bait and ice-angling bans to reduce hooking mortality. Western Canada’s long winters and the relative shallowness of these pothole and prairie lakes, often require the instillation of aerators to maintain adequate dissolved oxygen levels during the ice-over months. 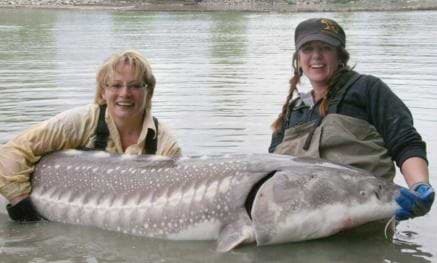 Once this situation is in hand you can watch the trout grow and see the anglers show up in droves. I did just that myself on a trip one June to Police Outpost Lake in the extreme southwest corner of Alberta – 600 km. from my Edmonton home. Chief Mountain (which is actually in Montana) was wreathed in a cloud bank and rain squalls had Police Outpost rocking with whitecaps. Regardless there were already a dozen rigs parked in the lot and the turbulent lake was dotted with water craft. I rowed my pontoon boat to the eastern shore of the launch bay where the wind was partially buffeted by the poplars and anchored up in a crowd. The conditions were miserable but nobody apparently told the trout. Soon my strike indicator dipped and I was into a hard-fighting Police Outpost rainbow which measured 16 inches when it was finally subdued. I caught a half dozen more on a Balanced Leech pattern plus several long-distance releases in the same size class until the deteriorating weather finally drove me off. I am still vowing to return for more of that great action. 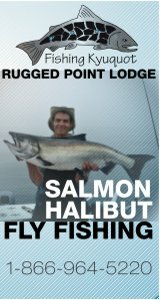 While there are a number of techniques available to catch trout, one of the most popular is fly fishing and like many other angling disciplines there is more than one school of thought as to how this should be done. While fly hatches do occur from time to time on western trout potholes, much of the time dry flies are left in the fly box and the action is sub surface. Addressing this challenge is open to discussion and often a difference of opinion exists. Casting and stripping a damselfly nymph, scud or stickleback imitation can be an effective way to catch Hawg Hole trout. This method comes into its prime during water boatmen season in the spring and autumn when “falls” of these curious little insects turn create a feeding frenzy and anglers’ fly rods are nearly jerked from their hands with the savage strikes. Casting toward shoreline vegetation or water lily beds and retrieving the boatman with a series of short jerks can create explosive results. Many western trout potholes are also blessed with an abundant baitfish population. These big packages of protein allow the stockers to grown big, fast and muscular. Stripping a stickleback imitation like an Olive Woolly Bugger in a wounded-fish retrieve can provoke fierce takes from foraging rainbows. The other school of Hawg Hole thought is indicator angling. This aberration of fly fishing is considered by some deluded purists as borderline unethical because it doesn’t involve much casting but requires a lot of sitting around waiting for the action to kick in. Indicator angling came into its own with the discovery that chironomid pupae are a prime still water trout food source. This is especially true when these insects are hatching and the pupae are most vulnerable as they slowly rise to the surface of the pond to hatch. 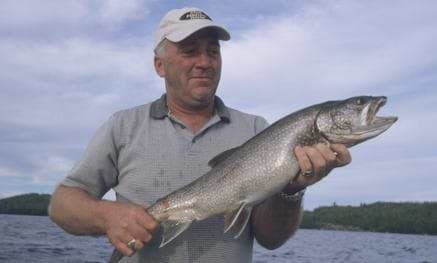 While trout will occasionally rise to the proliferation of adults on the surface, it’s down below where the action is intense. An indicator angler exploits this by suspending a chironomid pupae pattern on a tapered leader under a strike indicator attached to a floating fly line. The fly should hold at 10 cm. or so from the bottom. A trick to determining where to place the strike indicator on the leader is to attach your hemostats to the bend of the hook and gently lower it to the bottom to discover the depth. After that, cast the rig out and wait for the action to commence. Keep an eye on the indicator and when it twitches, bobs or vanishes set the hook and man your battle stations. 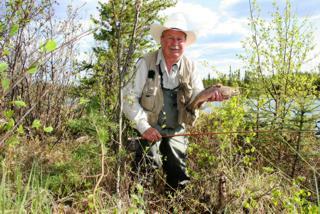 While chironomid angling began the indicator-fishing phenomenon it has now been adapted to other trout food sources. 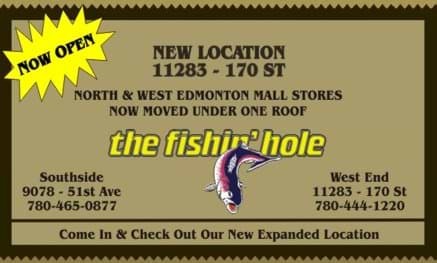 Leaches can be effectively presented in this way as well but it requires a specialized fly-tying method which allows the fly to be presented in a natural, horizontal profile. These “balanced” leeches are tied with a tungsten bead-head mounted on a sewing pin that extends beyond the hook eye – which is bent at a 90-degree angle from the hook shank. 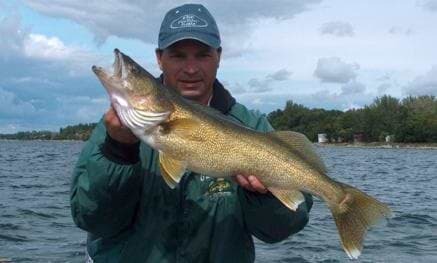 Minnow patterns can also be tied with this “balanced” method and presented in a similar way. A slight chop on the water enhances the effectiveness of this pattern because it imparts life-like action to the fly’s marabou feather tail. While shore angling is possible at some western trout lakes it is usually limited by the marshy shorelines. Wading in some ponds can be downright treacherous because of the unstable nature of the bottoms. The preferred method would be from a regular boat, pontoon boat or float tube. 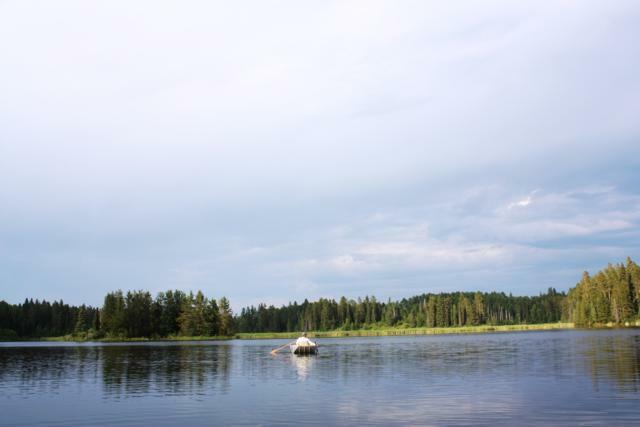 Many quality trout lakes have engine and speed restrictions that have to be observed. 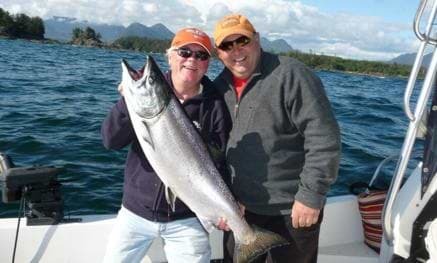 Boat anglers should deploy stern and bow anchors, particularly when indicator fishing. 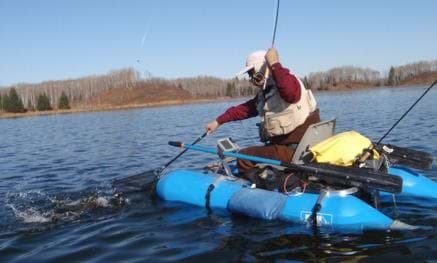 The pontoon boat is a favorite of many anglers and can be equipped with an electric trolling motor. 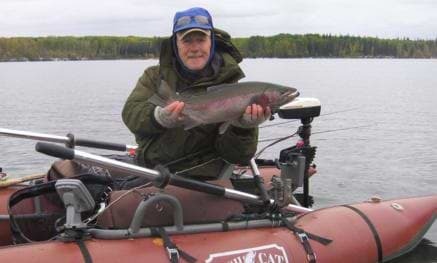 Oars or flippers are likely a more popular method on smaller pothole lakes and will normally allow the angler to get from the launch ramp to even the remotest parts of the pond. Again an anchor is a necessary asset. 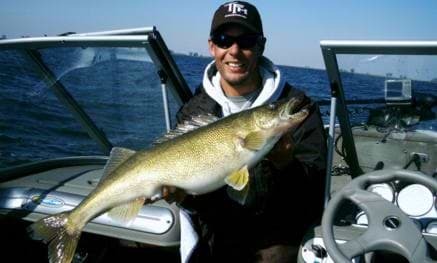 Anglers shouldn’t let the diminutive size of the water body fool them as the catch of a lifetime could be lurking just beneath the surface of the West’s sublime Hawg Holes.